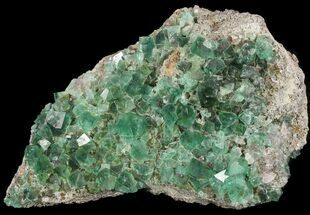 Here is a gorgeous 8.8" plate of Rogereley fluorite and galena from the famed Rogerley Mine in County Durham, England. 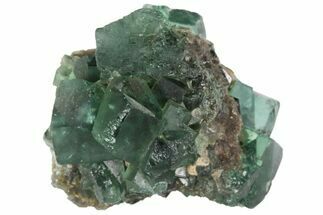 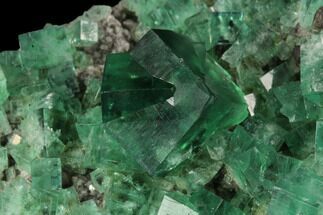 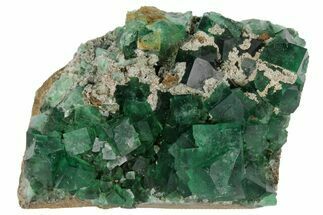 The plate has beautiful green cubic fluorite crystals on both sides, with some crystals reaching nearly 1" wide. 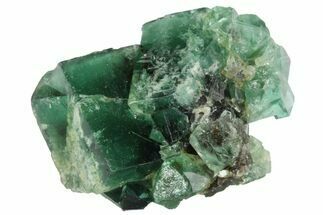 There are also a few partially oxidized galena crystals peppered throughout the matrix. 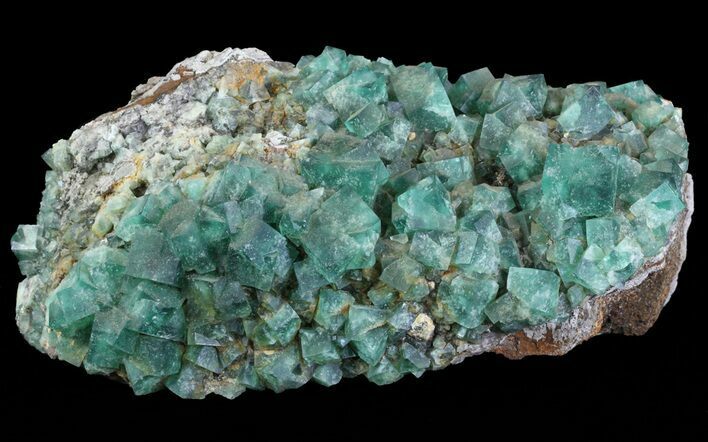 This particular kind of fluorite is unique in that it will actually fluoresce a beautiful blue color in just natural light alone (see last photo)! 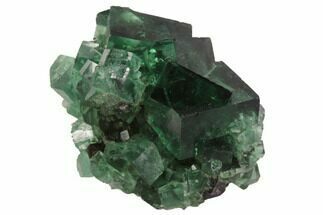 8.8 x 6 x 3.8"